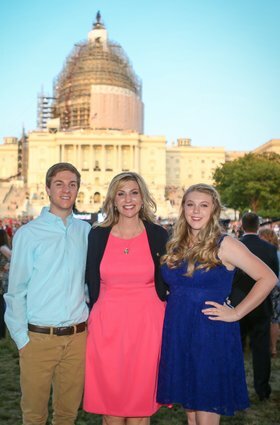 On the 2015 National Memorial Day Concert, Cameron and Bayleigh Dostie’s story is shared by acclaimed actors Jason Dolley and Stefanie Scott. The term Gold Star originates from the Service Flag first flown by households during World War I. The flag included a blue star for every immediate family member serving in the armed forces of the United States during war. If that loved one died, the blue star was replaced by a gold star, signifying the sacrifice of that family in service to our nation. In 1936, the U.S. began observing Gold Star Mother's Day and this commemoration has since evolved into Gold Star Mother’s and Family’s Day on the last Sunday of September and Gold Star Spouses Day on April 5. 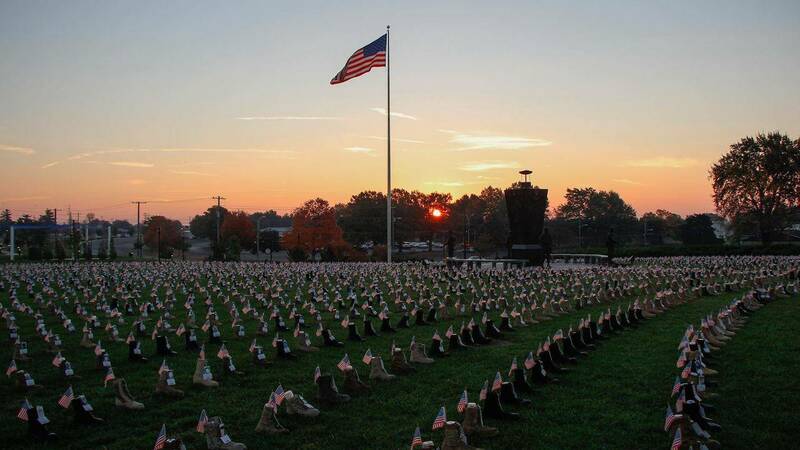 Fort Campbell in Clarksville, Tennessee organizes Military Survivor Appreciation Week for Gold Star families that includes an installation of boots and flags spread across a field to honor every soldier that has died in service since 9/11. 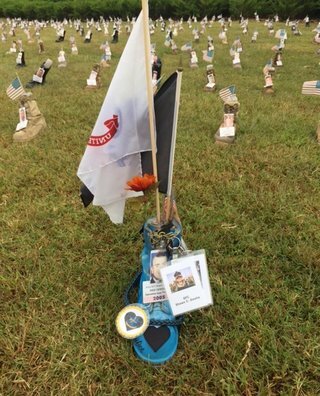 Among those boots are those of Sergeant First Class Shawn Dostie, killed in Baghdad in 2005 just five days before Christmas. On that tragic day, his wife Stephanie, son Cameron and daughter Bayleigh (eight and five years old at the time) began their lives as a Gold Star family. Shawn Dostie's Boot at the Fort Campbell display. Each year, the kids and I look forward to Gold Star Appreciation Week. This year, the boot display here at Fort Campbell included 7,240 boots. Each boot represented someone’s son, daughter, sister, brother, husband, wife, mother or father. They were, and continue to be, someone heart and soul. As Gold Star Appreciation Week came to an end, I had time to reflect on all of the week’s activities, and, most importantly, the past year. It was a year of changes. Cameron started college and Bayleigh has begun her junior year of high school. I’ve not only started feeling the onset of “empty nest,” but Bayleigh has also had to adjust to life without her brother in it every day. That is something I didn’t even stop to consider. I was so focused on missing him that I didn’t realize how much she would miss him as well. The whole household dynamic has changed. There is no longer a “man of the house”. Cameron had been that person for the last 10 years. Now, it’s just us girls. She’s driving herself to school and seems so independent. I’m guilty of following her for the first couple of weeks to make sure she is obeying every traffic law, driving the speed limit and making it to where she is supposed to safely. I did the same thing with her brother, something that drove him crazy, but they are what I have left and the thought of something happening to them weighs heavy on my mind almost every single minute. I’m sure I will stay the “helicopter mom” that I have become for the rest of my life. I tell myself that is ok, they are my bear cubs. Along with work and being mom and dad, I’m still continuing my work as Gold Star Wives – E.A.G.L.E.S. Chapter President and the President for the Trust for Wreaths Across America for the Kentucky Veterans Cemetery West. Along with that, I’ve continued to speak at Casualty Assistance Training and at Care Team Training. These aren’t new; I’ve done them for almost 8 years. It has always served as great therapy for me. Those are the nights that I sleep the best, after talking about Shawn and letting everyone know what a truly amazing man he had been. But, during the last Care Team Training, something happened. I said something I had never said before, not at any time over the last 10 since losing Shawn. As I stood there introducing myself and telling them that I was not there to scare them, make them cry or make them feel sorry for me, something else came out of my mouth, without skipping a beat or even planning on saying it. I said, “I am at peace with what has happened to our family. I know Shawn is at peace. Our story may be over here on Earth, but it isn’t over altogether because we know that we will see him again someday.” Without even knowing it, I had finally come to terms with the loss of my husband, the father of my children and my best friend. For so many years, I told myself he was on a “secret mission,” that this was just a long deployment. I would constantly check my email thinking I would get an email from him or somehow, somewhere, one had gotten lost in internet outer space and had finally found its way to my email account. If someone called and “unknown” popped up on the caller ID, my first thought would be that it was him. For so many years, when I heard good news, the first thing I would think is “I can’t wait to tell Shawn.” Little by little my mind has let those thoughts go. For so many years, I fought giving up hope because I thought if I did it would mean that he is really gone. Maybe it’s age, maybe it’s that my mind is exhausted from trying to keep up the last 10 years. Or maybe, just maybe, I am finally at peace. On the next National Memorial Day Concert blog, Bayleigh Dostie shares her experiences as a Gold Star child growing up without her father. 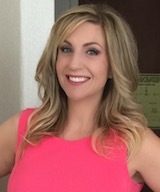 Stephanie Dostie resides in Clarksville, Tennessee and works as a Mobilization and Deployment Assistant for Army Community Services at Fort Campbell. She is the Gold Star Wives of America E.A.G.L.E.S Chapter President and is the President of the Kentucky Veteran’s Cemetery Wreath Trust, Inc. supporting Wreaths Across America for Kentucky Veteran’s Cemetery West. She is a guest speaker for Casualty Assistance Training/Casualty Notification Training as well as Care Team Training for Fort Campbell.